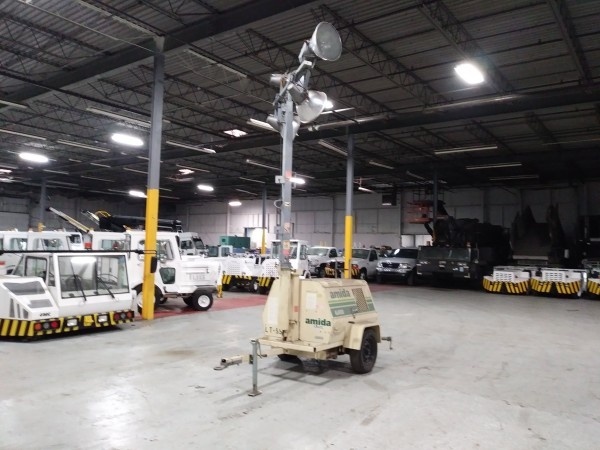 Skybus LLC/ Global GSE stocks a variety of airport lighting systems. If you do not see what you need here, please contact us as we have new stock arriving weekly. 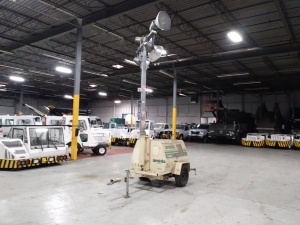 Used Terex-Amida AL4000 Light Tower has a boom height of 30-feet when fully extended and is able to produce enough light to illuminate 7-1/2 acres. The light tower runs on a 6.0 kW diesel generator and is rated at 120/240-volt single phase 60Hz. It is capable of operating four 1000 Watt metal halide floodlights at an altitude of up to 5000 feet above sea level. Besides being based on a simple design and cost-effective, the AL4000 is named Americas Most Economical Full-Sized Mobile Light Tower. The Allmand Brothers ML series mobile light towers. We have both gas and diesel powered units in good working condition.